This is a bit of a special adventure. 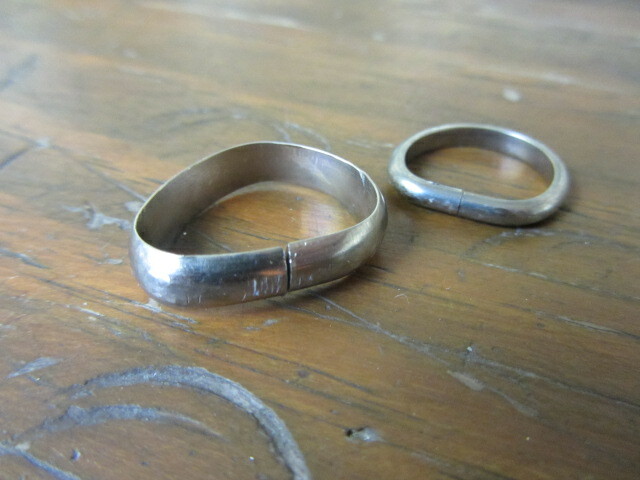 It tells of me and Dave making Wedding Rings for each other. When I told people we were going to do this everyone asked “What if it goes wrong?” “But you’ve never done it before, how will you be able to?” and the such. Just because we’ve never done something isn’t a reason not to try. And if the rings turned out a bit, erm, ‘personal’ what’s wrong with that? So we were booked and ready to go. 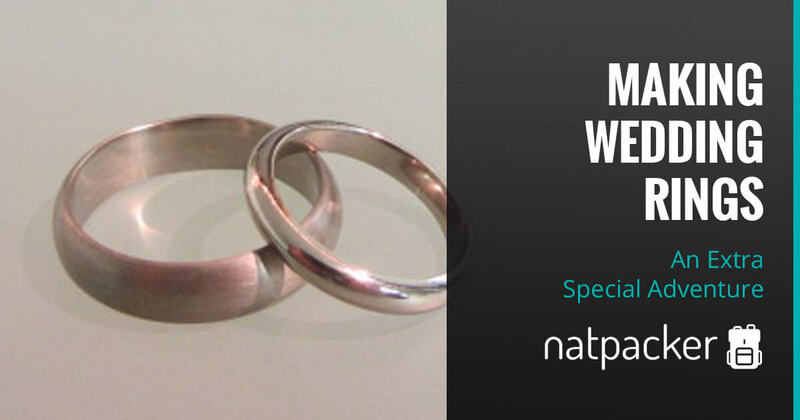 Our white gold had been ordered and delivered to ‘Make Your Own Wedding Rings’ in Leith. We booked a date to go up and make them for each other. As it is at least a 4 hour journey from home to Leith, me and Dave decided to stay over. We arrived in the late afternoon at our hotel – Adelphi Hotel. It was an old Georgian Townhouse opposite a park, very pretty. 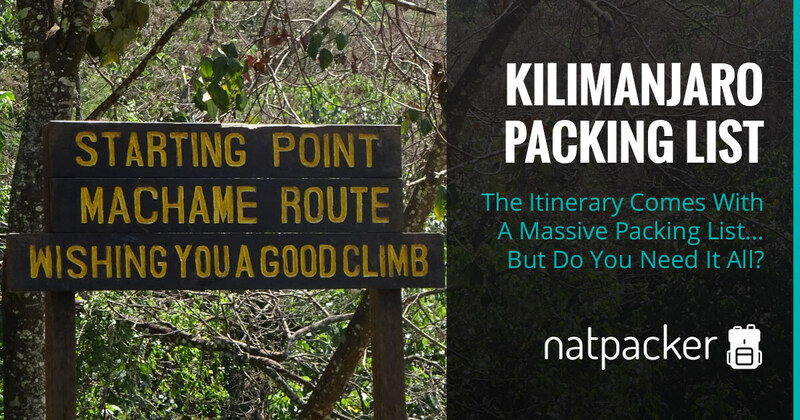 Once we had put down our gear we headed out to explore (and to find somewhere to eat). The woman on reception recommended The Granary, so we headed out in the direction she said. We got completely lost. Typical! After a few failed attempts to figure out where we were (we did not have smart phones at this point) we decided to head back to a few pubs we’d passed. Once we reached them we decided against the pubs. We were being awkward! But a place across the road caught our eyes. We had found The Compass. We headed in after a quick nosey at the menu. Unfortunately I did not take pictures and can not remember what I had for main! I know I enjoyed it, but what it was…? I definitely had Clootie Dumpling for dessert. This was my first taste of Clootie and I loved it! Clootie is a traditional Scottish dessert and was on the menu for our wedding, so I was glad to have a try (and even gladder that I enjoyed it)! The next day we went down for breakfast, which was a selection of cereals, toast, fruits and yoghurts. Then we put our stuff back in the car and walked over to the venue. We’d made sure we knew where we were going this time! We didn’t want to be late! This time we didn’t get lost! We found the place fairly easy. Donna came down to meet us, as the workshop is on the top floor of a building. She showed us up to the workshop and explained how the day would work. 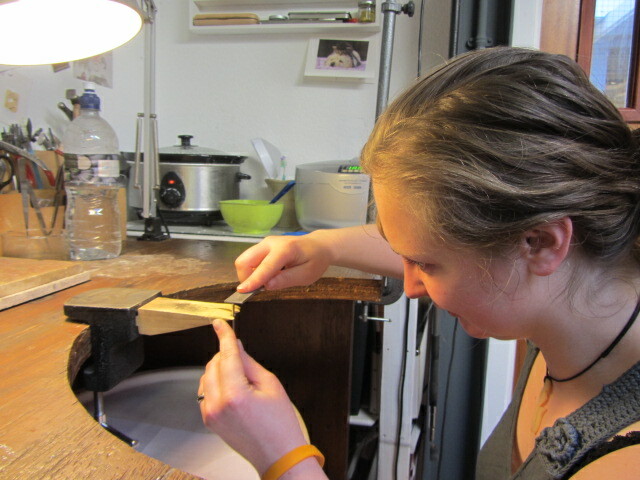 Donna showed us our strips of white gold, that we would be working on. 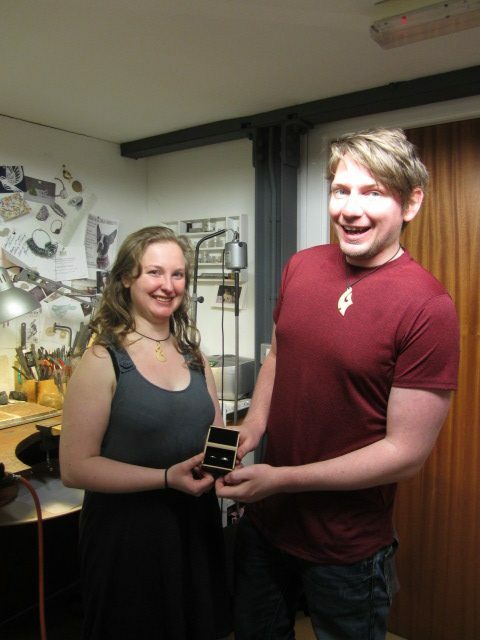 We decided that we would make each others rings, rather than making our own, it seemed the right thing to do. Then it was time to get to work! 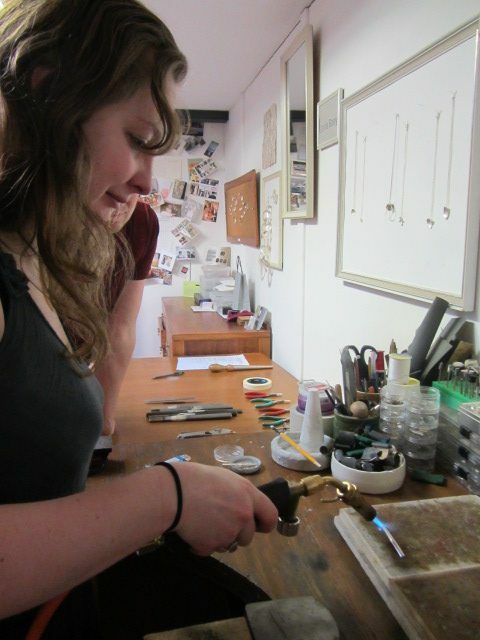 I was a little nervous about making Dave’s ring, I can be clumsy and impatient. Dave’s the ‘arty’ one, not me. But I really wanted to do this and with Donna keeping watch I knew I was in safe hands! First we each had to heat the metal then cool it. This is called annealing and makes the metal easier to work with. Next we filed one end smooth. 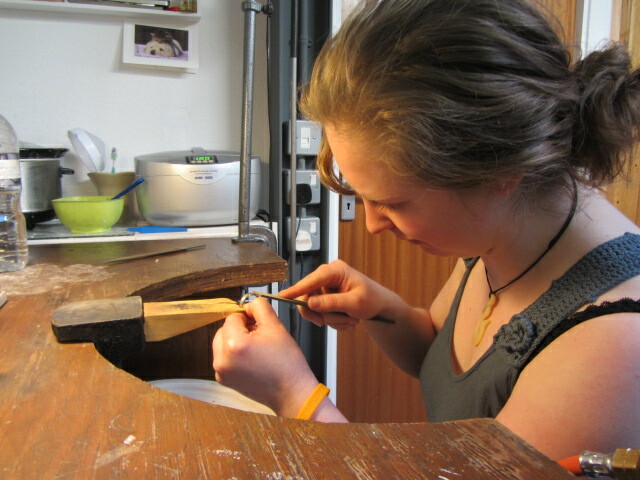 Then we had to measure to the correct size, so that we would cut off the still rough edge. The end was cut off using a saw. This end was then filed smooth. Next we were given pliers. 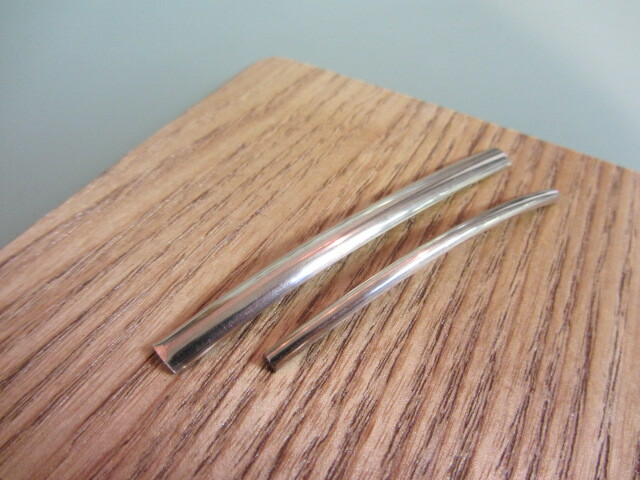 It was time to bend and curve the metal band into a rough ring shape, basically bringing the two ends together. To do this it was easiest to make a ‘D’ shape with the ends meeting and then make a circle. I found this quite difficult, I couldn’t get Dave’s metal to bend at all! But eventually I managed it. 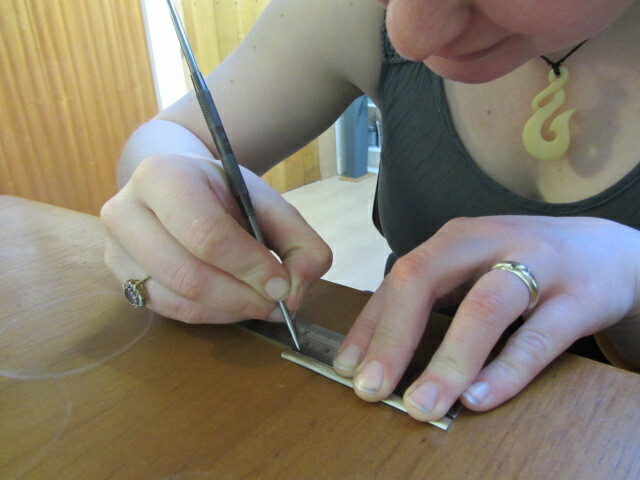 The next task was to solder the ends together. Next the rings were individually put over a tall, pointed spire-like piece of equipment. 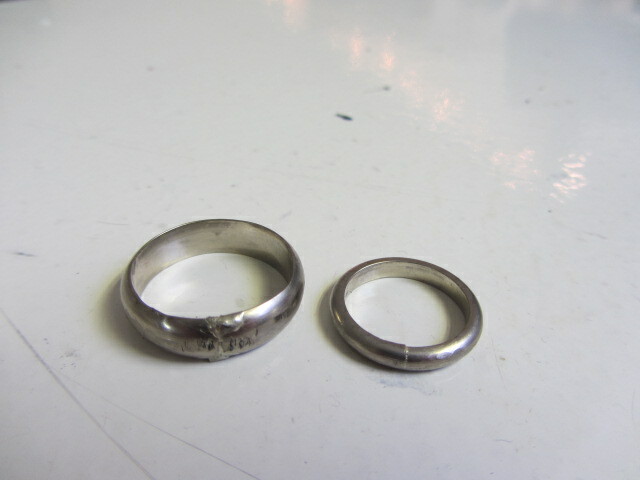 We each hammered the rings so that they became completely circular. 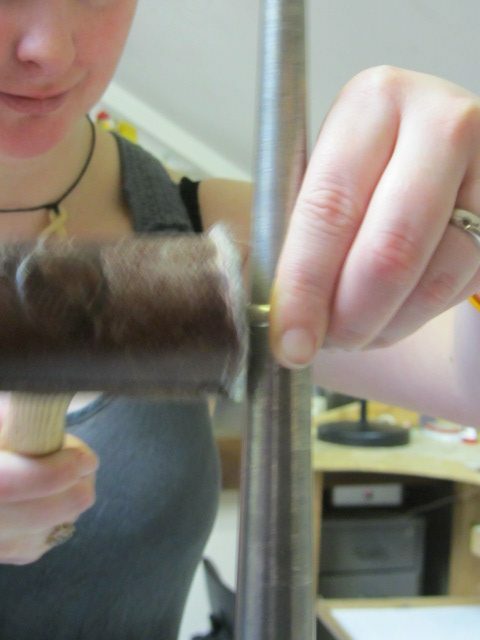 Then the size was checked and the rings were stretched or shrunk according to what was needed. 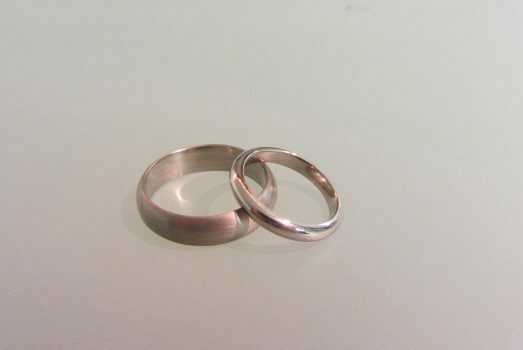 Looking More Like Wedding Rings Now – Getting There! All too quickly it was lunch time! Donna supplied a lovely lunch with plenty of sandwiches, crisps, carrot sticks, dips and cake! There was plenty to go around and it was all delicious. The afternoon consisted of filing the rings, inside and out. A couple of different files were used to get a perfectly smooth finish. 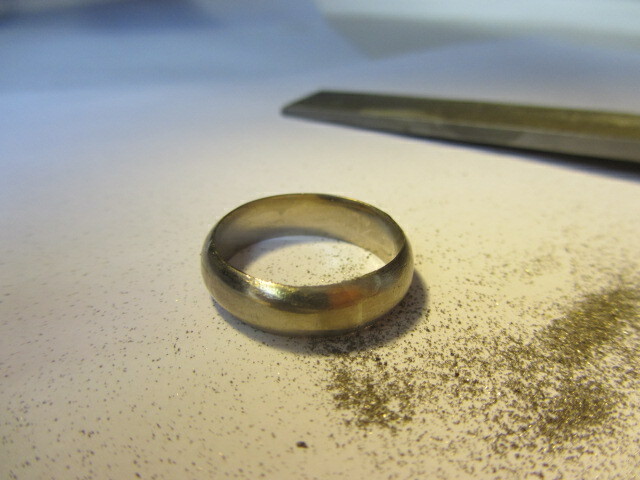 Dave wanted a matt finish for his ring, so this was the end of my work. However, I wanted a shiny finish, to match my engagement ring. So Dave had to polish mine! A little extra work! After we had finished Donna took some pictures of the rings and showed us the pictures she had been taking all day. She gave us a disc with the pictures on, the rings and a bottle of champagne to take away. A great end to a lovely day! 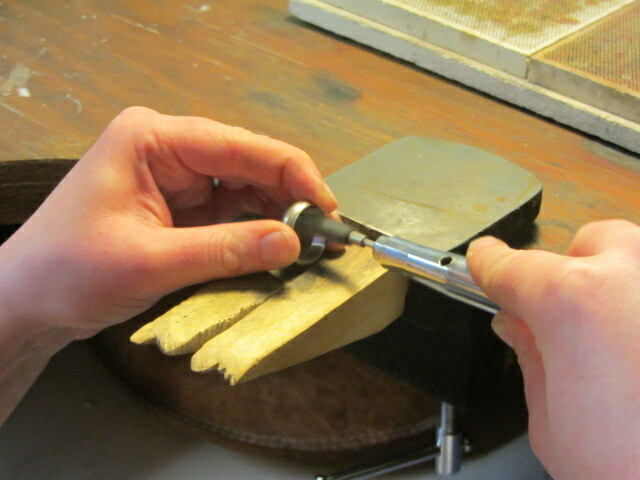 I must admit, making Wedding rings was much easier than I’d anticipated. Although Dave says you can tell I made his ring, I think I did pretty well. It was a really fun day and I really enjoyed it. 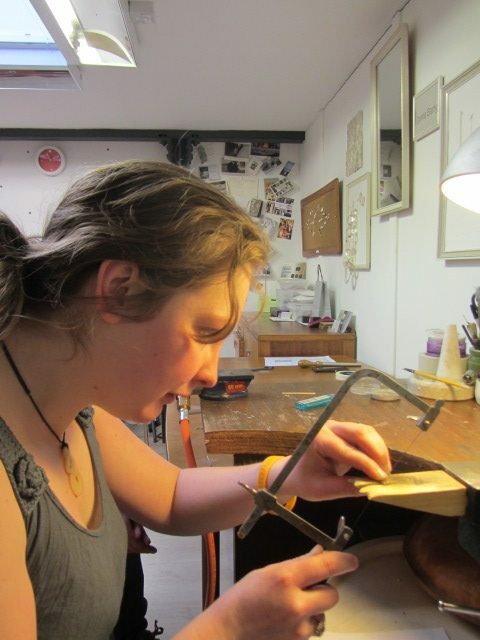 If you want an unusual Wedding ring I highly recommend making your own and I definitely recommend Make Your Own Wedding Rings. 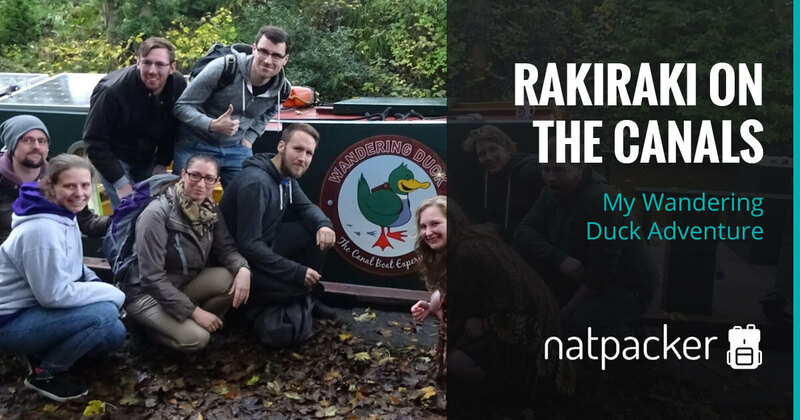 An adventure on the canals with the Wandering Duck, Rakiraki!